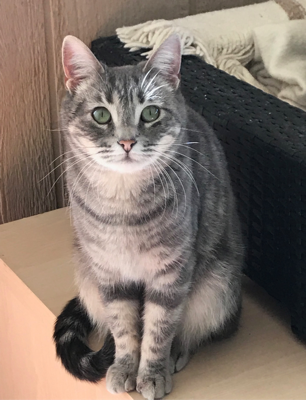 Jackie is a 1 year old, marble Tabby. She is small, quiet and gentle. She is about 6 lbs.